MaxxVault: Making Account Payable Document Processing & Approval Easier & Efficient! MaxxVault offers enterprise document management solutions with unique features that simplify document management and a wide range of related processes while keeping costs down. One of the most beneficial solutions, their accounts payable software solutions AP automation, allows you to remain on top of your account payable invoice processing at all times. From the external user file sharing feature, MaxxSafe, to securing instant messaging, the company makes processes easy and time-saving for medium to large enterprises. All companies will start facing document management issues as their business and operations start growing. Especially, from the medium-enterprise level up, this is a common problem and often results in loss of critical information. MaxxDocs: - This is MaxxVault's entry-level solution for smaller companies. MaxxVault provides content management, securing, processing, and sharing solutions. The accounts payable software solutions from MaxxVault power the accounts department and management in all industries so that you can remain on top of your accounts and invoicing processes. 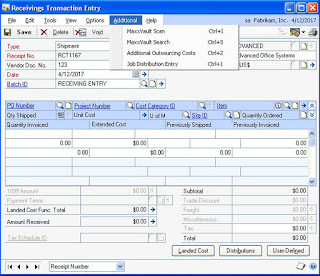 Never miss an invoice or transaction-related document – they will be just a click away when you need them. Whether it’s the healthcare industry where each patient record and each page plays a critical role in patient’s well being or a large corporation where hundreds of thousands of documents are processed every month, MaxxVault adds simplicity, speed, and security. Route documents like purchase orders and invoices for processing and approval automatically, depending on your pre-set process. Get workflow queues and automatic alerts for faster completion. Capture invoices and transaction documents into MaxxVault via scanning or simply drag-and-drop or by fax, email or in electronic form. Route the material to the right personnel in your organization for the approval process. The documents can also be approved automatically based on the criteria you have set. 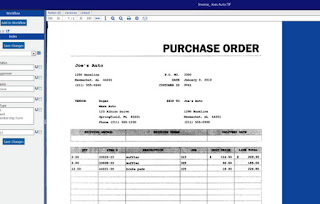 Invoice/Purchase order statuses get updated instantly. All your documents remain fully secured and safe during the approval process or storage. The MaxxVault accounts payable document management software follows your pre-set processing rules and thus automates and speeds up your processes. High-value invoices/purchase orders or specific transaction documents can be routed to several approves for their digital signatures. Your documents keep getting processed on a continuous basis, saving a lot of time compared to conventional paper-based processes. You will no longer have to worry about forgotten or delayed invoices! Watch in this video how the process helps your company save more time and become more efficient. Most medium to large enterprises powers their accounting systems with the Microsoft Dynamics ERM system. Information from invoices and other new documents have to be entered into the system. Once the information is entered, the document can be scanned into MaxxVault using “MaxxVault Scan.” Once the scanned document is checked for quality, it can be saved. MaxxDynamics will send the metadata and the scanned documents to your MaxxVault system. It will also file the paper into the right MaxxVault folder. Whenever your staff is reviewing a transaction within Microsoft Dynamics GP/AX/SL/NAV, they can immediately access all the proof. All that is required is to conduct a search within MaxxVault Search, and MaxxDynamics will automatically retrieve the right documents. MaxxDynamics offers a single-click document scanning, indexing and searches feature for those using MS Dynamics GP/AX/SL/NAV. Your staff can feed in data and file documents more efficiently. Because your documents get stored within the MaxxVault Enterprise, you don’t have to worry about security. The papers and data can be managed based on your records management policy. It will also adhere to legal compliance requirements set by you. It becomes simpler to manage your business using MaxxDynamics when you are using Microsoft Dynamics. Take a look at how it integrates with MS Dynamics GP. MaxxVault Enterprise allows your staff to automatically/manually set expiration dates on documents based on document type. This is made possible due to the retention schedule feature. You can have your records stored in the read-only archive which can be accessed instantly as and when required. The moment a document expires, it alerts your staff for proper disposal. The ‘legal hold’ feature in MaxxVault allows flagging a document so that it is not deleted. Your employees can flag documents which don’t have an expiry date because of their importance in litigation or other cases. You can customize MaxxVault Enterprise to adhere to your particular business compliance needs. All this eliminates any worries of losing or accidentally destroying your documents. It helps you reduce costs involved in the filing, routing, and storage of paper documents. It takes seconds to access information for your accounts, payable staff. Customers can be provided the desired information within minutes if not seconds. Documents can be routed instantly through your payment and collections workflows. All this is going to boost your organization’s productivity, efficiency, and profitability. Healthcare Tech Outlook has ranked MaxxVault among the Top 10 Promising Document Management Solutions Providers in 2016. It is among CIO Review’s 100 Most Promising Microsoft Solution Providers. It is among North America’s Top Software Vendors in 2014. It is the 2012 Winner of Red Herring Top 100 Global. The Buyer’s Laboratory Pick Awarded it for Outstanding Document Management Solution in 2012. MaxxVault has been awarded Buyer’s Laboratory’s 5-Star Solution. It is also among Red Herring Top 100 North America. 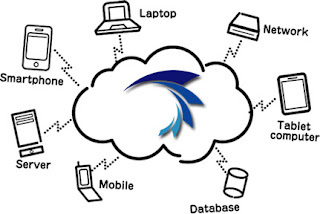 It is also among 2011’s Top 20 Cloud Software & App Vendors. MaxxVault allows you to have your private cloud server which can be hosted on your very own servers. However, you can also take advantage of their fully hosted MaxxCloud. Thus, you can choose between a fully hosted, hybrid or on-premise solution for storing and managing your documents. 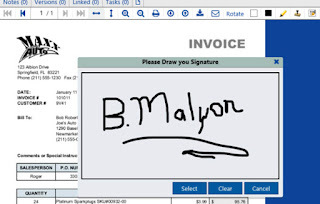 MaxxVault’s digital signature tools make it easier and faster run your accounts payable document approval processes. If you are already using DocuSign, it can also integrate with it. MaxxVault Enterprise software offers a much more flexible document management solution to make your accounts payable and other departments and processes more efficient. Not to forget that it also provides a mobile solution to simplify your document management processes further. It offers a large variety of features which come at an affordable price compared to what other document management companies offer. The company claims to simplify your document management processes. And it does it well without making any misleading claims, and it does all this while keeping its solutions within your budgets.